I’ll expect the book back by tomorrow. As soon as some men are willing to serve good with the same stubborn and indefatigable energy with which other men serve evil, the forces of good will be in a position to triumph – for a very short time, perhaps, but still for a time and that triumph will be unprecedented. The chief principle of a well regulated police state is this: That each citizen shall be at all times and places recognized as this or that particular person. No one must remain unknown to the police. I have more books to read than life left to read them in. My friend Donal Adams copied me recently on a post he made to other friends about Patrick Modiano, the recent Nobel Laureate. I would like to share some of the more salient points and my response. Don says that he does not see it coincidental that the Nobel went to Modiano when anti-Semitism in France is on the rise, as is the rate of French Jews’ emigration to Israel. Modiano’s first novel, La Place de l’Étoile was published in May, 1968, the month that the student protests in Paris began. The book appeared when the core tenet of French postwar identity, ‘the myth of France as a nation of resisters’, was beginning to crumble. Modiano’s father was Jewish and had refused to wear a star and did not turn himself in when Paris’s Jews were rounded up for deportation to concentration camps.. Modiano has returned again and again to the same themes: the pull of the past, the threat of disappearance, the blurring of moral boundaries — the dark side of the soul. He believes that the novelist has an ethical duty to record the traces of the people who have vanished, the people who were made to disappear. Very interesting post. I must confess to knowing nothing about Patrick Modiano before the recent announcement about him winning the Nobel Prize. But, I am very interested in learning more about him and will definitely read his some of his books. He writes about a period of time I have long been interested. I am currently reading Camus at Combat 1944-1947. I read a daily dispatch and sometime feel I am living in that era. Today (October 31, 1944) I read about M. Stephen Lauzanne. Lauzanne was editor and chief of Le Martin and described as a man without character. He was accused of collaboration in his editorials and broadcasts on Radio Paris between 1940 and 1944. He was sentenced to twenty years in prison. Camus said as a journalist he had no talent or morals and was involved in cowardly compromises of every sort. 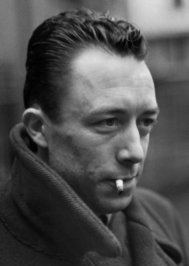 But who is worse, Camus asks, the man or the society who allowed the man to function. Society’s responsibility is enormous. A world in which jobs can be had without competence or at the very least some kind of virtue is a world that carries with it the seeds of its own destruction. Cue Fox News. The Individual’s responsibility begins where society’s ends. Here are several night shots I took in Bernheim Forest in Kentucky. 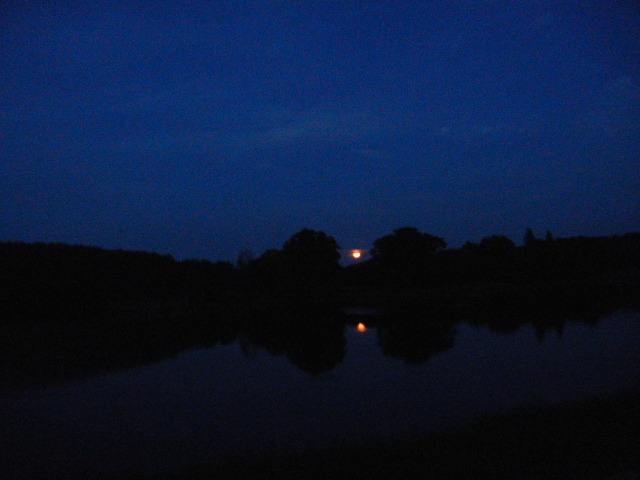 We drove down there one evening for a moon walk during the Night of the Super Moon. 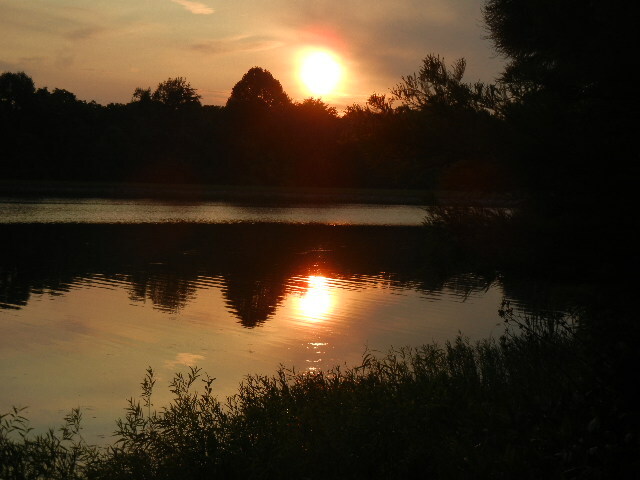 We arrived just as the sun was setting behind Lake Nevin. It was a little cloudy that night but I got couple of dramatic shots of the moon as well as the setting sun. I used a handheld camera and got good exposures. Of course a tripod would have made quite a difference, but I must confess I don’t usually use one. 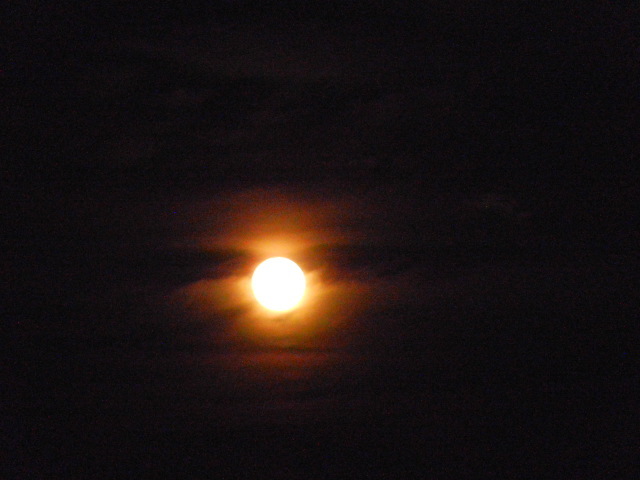 The moon’s an arrant thief, And her pale fire she snatches from the sun. My tagline: Notes from the Underground with pictures says two things. First it is another literary reference about a disaffected character communicating with a wider audience from the vantage point of his underground location actually a “mouse hole.” This could be any blogger typing away on his computer keyboard in some dimly lit lonely basement,a cheap hotel with neon lights blinking outside, or lonely apartment on Santa Monica Blvd. or other such accommodation. 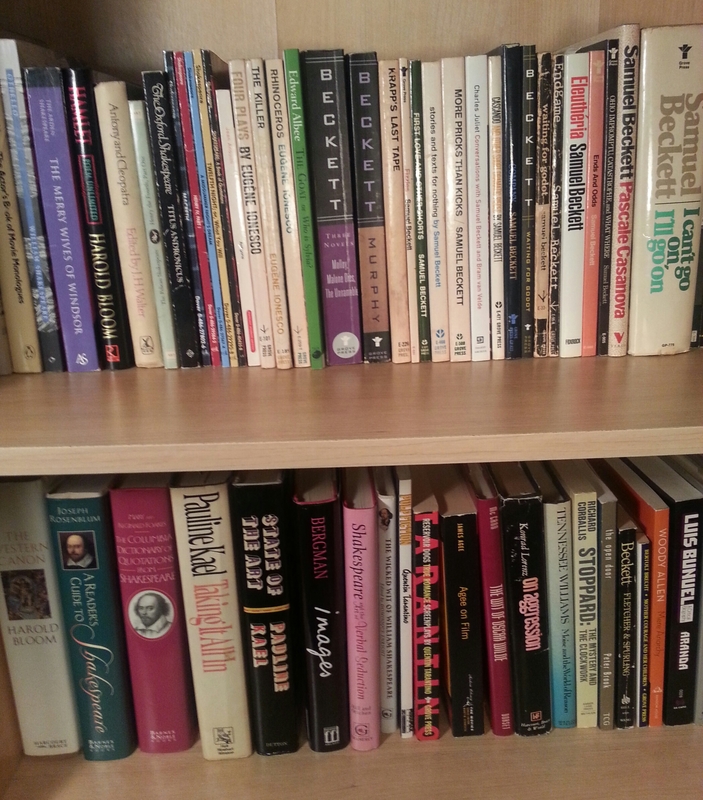 I see Tom Waits, Charles Bukowski, or Nelsen Algren. The picture thing has to do with my love of photography, visual images, and the stories they tell. I will be illustrating my posts with my own work for the most part, but on occasion, when the moment is right, I might snag an image off the internet. Well, that about explains it. I would be interested in hearing what you have to say, so drop me a line or leave a comment. As my friend Timi says, keep the conversation going. The place I would most like to be transported to is Paris in the 1920’s- 1940’s. The time and place where Ernest Hemingway lived as a young man and wrote A Movable Feast. I would like to be part of the group that surrounded Jean-Paul Sartre, Simone de Beauvoir, and Albert Camus during the time of post war France when they were trying to re-establish French civil society as was depicted in The Mandarins. This is where and when I would most like to go. Barbarism is not the inheritance of our prehistory. It is the companion that dogs our every step.